Prime Minister of Israel Benjamin Netanyahu is facing a potential indictment after a police investigation reportedly urged the official be charged formally for alleged misconduct that includes accepting bribes and corruption. In a speech, the prime minister vowed to continue serving his country, pointing out that less than 50 percent of indictments recommended by police ever materialize. He said he has not served his country for "cigars from a friend, not for positive media coverage," but for love of country. Netanyhua repeats his mantras: "This will end in nothing, because there is nothing there. I know the truth." "There is no place for such accusations in a democratic country." Police recommendations mean nothing; only the AG decides." Until the Israeli attorney general makes a decision, Netanyahu has not been formally accused of any crimes. Two investigations into Netanyahu for receiving expensive gifts illegally and working to manipulate one of the largest newspapers in Israel have resulted in a decision by Israel police to recommend indicting the leader, according to Haaretz. ​The first investigation concerned a quid pro quo with wealthy business leaders while the second concerned an attempted deal by Netanyahu to convince one of the largest Israeli newspapers to provide less critical coverage of the leader, leading to concerns about free speech. Allegations have lingered for months without any formal charges being leveled, however. In November, Israeli news outlets reported that the investigation into Netanyahu's history unearthed sufficient evidence to charge Netanyahu and his wife with bribery and corruption. Haaretz reports that prosecutors will pursue the charges. Thousands of protesters have taken to the streets of Tel Aviv demanding Netanyahu's resignation in recent months. The Israeli leader has consistently denied all charges of wrongdoing while insisting that the investigations will lead nowhere. "If and when police present a summary of the investigations to the attorney general, a short and concise statement will be released to the press informing them of the conclusions based on the evidence collected, as is the practice with investigations of public figures," an Israeli police source told the Times of Israel. 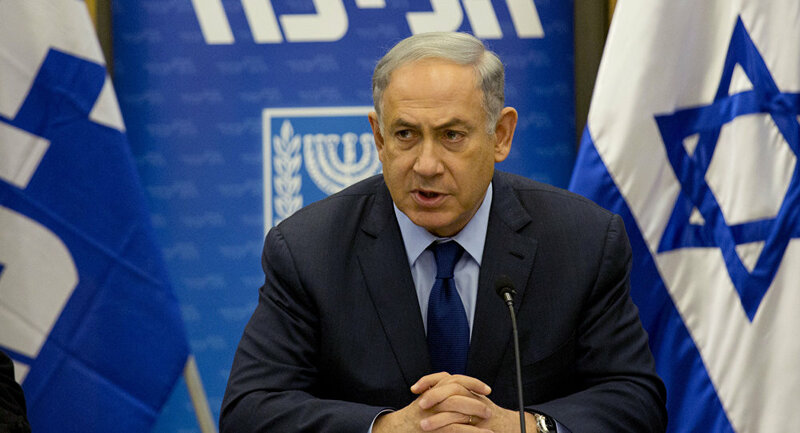 Netanyahu spoke publicly from his residence on Tuesday after the police announcement.